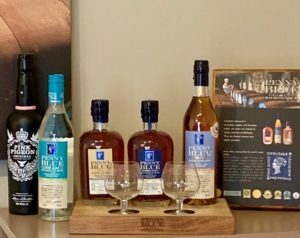 It has been over four years since I was at the Medine rum distillery in Mauritius, so it was exciting to see new products on the shelves on my return visit a couple of weeks ago. On my first visit they were just launching their second batch of XO, now they have VSOP, XO and the brand new Pure Cane in their range. Mauritian Rum has a long history; the Dutch planted sugar-cane in 17th century to produce arak (an aniseed alcohol not dissimilar from ouzo) as well as rum. With French rule in the 18th century the use of Cognac barrels added some sophistication and the arrival of the British in the 19th century brought Scotch barrels, adding another level of complexity to the ageing. 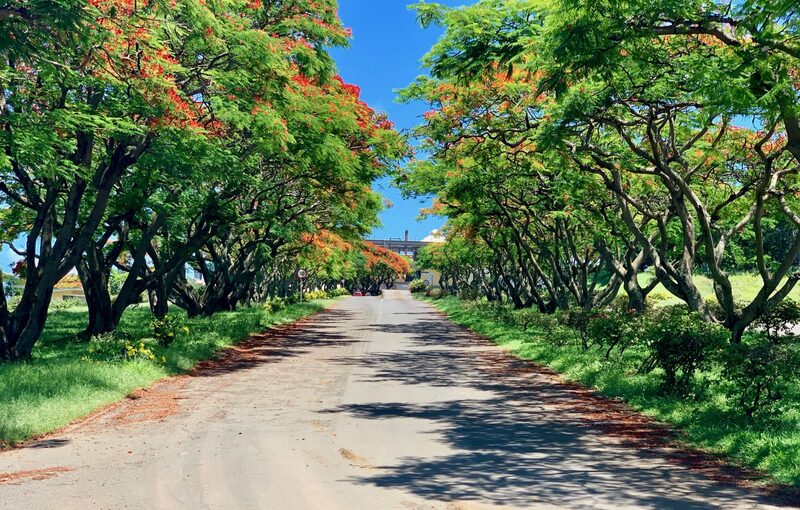 It’s appropriate then, that The Indian Ocean Rum Company was created in 2009 as a partnership between the Medine Distillery, the oldest Single Estate Distillery on the island, and British Wine and Spirits Merchants, Berry Brothers and Rudd. The first 5,900 bottles, of their inaugural Penny Blue XO #001 was released in 2013, named after one of the rarest stamps in the world – examples of which can be seen in Mauritius, at the Postal Museum and at the Blue Penny Museum, both in Port Louis, the capital city. 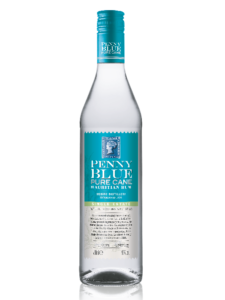 Then, in 2017, they launched Penny Blue VSOP, a younger expression of the Penny Blue’s style, and at the end of 2018, their latest release; the Penny Blue Pure Cane. The Pure Cane is their first rum produced with sugar-cane juice, rather than molasses. Hand milled, single variety sugar-cane is fermented and pot distilled, then blended with some column-distilled rum to add body and complexity. It is very much in the style of ‘Rum Agricole’, an appellation used by rum distillers on the French islands. Lighter than the French style, it sees no cask ageing so retaining its bright, clear colour and floral aromas. Medine considers this Pure Cane as a true expression of their island terroir. It is the perfect compliment to the range of cask-matured rums, but there is news there too. 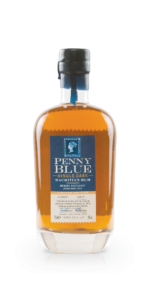 The Penny Blue Single Cask #28 is a limited release of only 197 bottles. As its names suggests, it is from a single cask, selected from within the Medine reserves by Master Distiller Jean-Francois Koenig. It is non-chill filtered with only its dark, natural colour coming uniquely from the casks. At 45% ABV, it has a rich tropicalfruit, vanilla, toffee and sandalwood nose and a creamy mouth feel with a vanilla finish on the palate – a perfect reminder of its tropical origins. The other new launch in 2018 was vinegar. Jean-Pierre Koenig has had a busy year. He created this vinegar from first press, pure cane juice, known locally as ‘fangourin’, the name he has given to the vinegar. The Méthode d’Orléans method is used to ferment the vinegar. Named after Orleans in France, the process was patented in the 16th century but dates back to the middle ages. 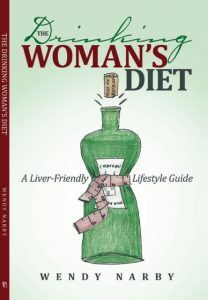 It is a slow, natural process only using naturally present bacteria. Cane Vinegar from the Medine Distillery. 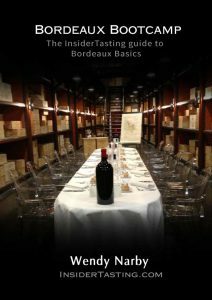 It is rare for sugar-cane juice to be used to produce vinegar and the addition of a dose of pure juice at the end of the process gives a sweetness that will appeal to fans of Balsamic vinegar. 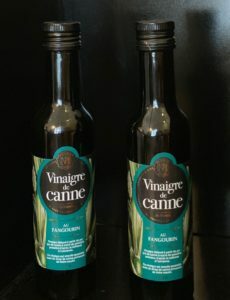 It is lighter than Balsamic vinegar, in colour, sweetness and consistency but is perfect for adding a lift to salad dressing or deglazing a dish. Sold in small 250 ml bottles, it is an original souvenir for tourists to take home, along with a bottle of rum of course.